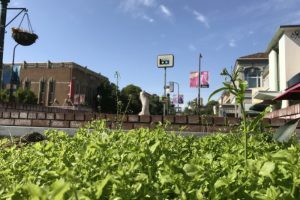 Researchers from the University of California Berkeley have identified 52 edible weeds growing in abundance in the poorest neighborhoods of San Francisco, surrounded by busy roads and industrial zones. At least six of them are more nutritious than kale, according to a new study. The three low-income neighborhoods the researchers studied have been classified as “urban food deserts” — meaning they are more than a mile from the nearest shop that sells fresh produce. All six were more nutritious, by most accounts, than kale – arguably the most nutritious domesticated leafy greens. The weeds boasted more dietary fiber, protein, vitamin A, calcium, iron, vitamin K, and provided more energy. The only nutrient kale scored higher in was vitamin C, but the researchers suspect other weeds they found, such wild mustard and wild radish, might rival it in that category. Many of the edible weeds they found have been used in folk medicine, including plantain, cat’s ear, fennel, sow thistle, wild lettuce, and wild onions. The really exciting part about the study, is that these weeds were foraged in the middle of a drought. “Foraged leafy greens are consumed around the globe, including in urban areas, and may play a larger role when food is scarce or expensive,” writes Philip Stark, statistics professor and founder of the Berkeley Open Source Food Project. 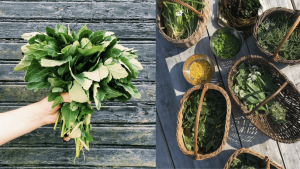 “Even during this low-production period, almost every address in all three study areas had several servings of several different species, suggesting that wild edible greens are a reliable source of nutrition all year round,” writes Stark. Soil at some survey sites had elevated concentrations of lead and cadmium, but tissue tests suggest the weeds don’t take up much of these or other heavy metals. After being rinsed, they tested at less than the dosages considered safe by the EPA, the researchers said. Pesticides, glyphosate, and PCBs were undetectable. How can people identify which wild greens are edible? He recommends people educate themselves and gradually start adding new weeds into their diets. The report notes there are only 1.7 cups of farmed vegetables available per person per day in the United States, less than the recommended serving of two to three cups. The researchers suggest wild food could fill in the gap and improve nutrition security. “Wild foods might also contribute to a healthy ecosystem by building soil organic matter, retaining water and nutrients in the soil, and reducing erosion,” Stark wrote. This is a good article, to highlight that such food and weeds grow abundantly, and suggest that we can all be more aware of edible wild plants growing in our gardens. I caution that some people could interpret that the article is essentially saying “why don’t poor people wake up and realize there is free and healthy food around to find”. To address this, it would be a good outreach project to help people anywyere, including in impoverished neighborhoods, to develop community gardens and grow such plants safely, where they won’t be sprayed with pesticides or pooped on by pets (and wildlife as much as possible), and anything else that would otherwise contaminate the plants directly or the soil. With proper support (educated volunteers and funding), some wonderful initiatives could happen to help and inspire people in impoverished neighborhoods, and some neat concepts have been happening in urban Detroit along these lines. I do agree that eating plants right out of the sidewalk, as the photo suggests, has risks that they are contaminated, and for that, I think the study should mention more. I didn’t get the poor ppl inference at all. It was a very good article for anyone. yea, in the first paragraph he said the weeds were growing in the poorest neighborhoods. Try this site to start very informative and easy to follow identification. Look up the authors Sam Thayer, John Kallas,Leda Meredith,Ellen Zachos,and Mike Krebill. They all (among others) have books and/or sites with a gold mine of information! Yes! I would love to know how to prepare these greens so that they would taste good and still be nutricious. Dock is generally too bitter for most palettes to be eaten raw in a salad except in very limited quantities. Easier to add to a green smoothie. can cook in boiling water and then drain water with some of the bitter element, largely some of the high concentration of minerals present in the dock leaves. 11/21/18 Great article, but should have shown detailed picture to help with identification for those new to scavenging. I can be accused of taking some of the plant from a toxic place that looks like it may have seed and shaking it over a pot of organic soil. I think that may take care of any toxicity concerns or get it to root replant with little of the old dirt. purslane is also very good for you. always found in cracks in sidewalks, you know what that means, most likely spray nozzle between the ears was here. Planting seed in clean soil is fine. However, as the article says, plants don’t generally absorb much heavy metal contamination from the soil they’re growing in, especially when the pH is above about 6.5. Lead is really not very soluble and plants can only absorb dissolved substances. The main mode of contamination from soil is from ingesting soil particles physically attached to the plant, so thorough washing is important. I find that dock is best incorporated in other dishes such as in white bean soup (excellent!) or sauted with olive oil and garlic–don’t overcook, as they are quickly done. I know that cow thistle needs to be squashed in the hands before being boiled until it is limp. I’m willing to believe this article’s claim is likely true that the nutrition of our food has decreased over time. Working with farmers alongside an avid soil conservationist, my coworker has shown me university studies that prove our farming practices have made soils less productive over time. Less soil productivity = less nutrition in produce (plants receive all their nutrients from the soil. Remove the micro- and macro-nutrients and what else can they add to their structures?). The less nutritious a piece of produce has become, the less tasty it is. If farms improve their soils, they will improve the taste of their produce, and people will find all produce is tasty, organic or not. It’s no wonder many Americans are more attracted to foods where artificial/outside flavors are added rather than eating good ol’ plain, fresh produce. Weeds are allowed to grow in places that aren’t hit by plows (organic farms need these to kill weeds), no-till drills (conventional/non-organic farms can use these instead of “plows” withpesticides to control weeds), and pesticides. Healthier soils tend to be wherever a farmer can’t tear up or modify the ground, so therefore, the soil isn’t being stripped of nutrients all the time. These places grow the plethora of tasty weeds and tend to be places like woodlands, wetlands, goofy corners near fence corners the tractor can’t reach, etc. Good soil = better plant nutrition = better taste. The indigenous ones are chickweed, mallow and oxalis. The others are non-native, introduced plants.